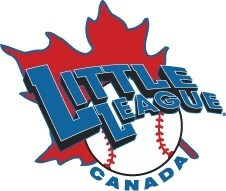 We are very excited to announce our new partnership with Little League Canada! Little League Canada announced today that they have reached an agreement to administer the Continental Amateur Baseball Association (C.A.B.A.) program in Canada starting in 2015. C.A.B.A. an American baseball program, started in 1984 with the vision to provide more teams the opportunity to participate at the national level. They presently organize tournaments at the local, regional and national level in the United States for players aged up to 18 years of age. “Our goal is to provide more opportunities to Little League players in Canada beyond our traditional tournament trails which lead to various Little League World Series” said Little League Canada President Roy Bergerman. “Our agreement to administer the C.A.B.A. program in Canada will provide us with a wide variety of new opportunities for more Canadian Little Leaguers both in Canada and in the United States. These opportunities will be available to all Little League affiliated programs in Canada”. “By partnering with C.A.B.A., it provides us with a different, but proven program instead of building a separate structure for travel baseball opportunities, and it provides to C.A.B.A. the proven Little League administrative infrastructure in Canada. It complements our traditional program rather than competing with it, and will allow us to offer more baseball, to more players, throughout the year, not just our normal playing season in Canada”, Bergerman said. CABA President and Chief Operations Officer John Rhodes adds, “CABA is honored and delighted to be joining with Little League Canada in this historic undertaking. We believe these two organizations with the same goals and desires for enhanced opportunities in baseball for the youth of Canada will form a tremendous partnership”. As noted above, the new arrangement is expected to immediately produce tournament opportunities in various age groups in Canada this year, as well as the chance to enter in C.A.B.A. World Series tournaments after their Little League season is completed. And finally, with the ongoing working relationship that CABA already has with The American Amateur Baseball Congress, Little League Canada and its affiliates will also enjoy those additional qualifying opportunities and therefore AABC major events associated through participation in CABA Canada sanctioning.